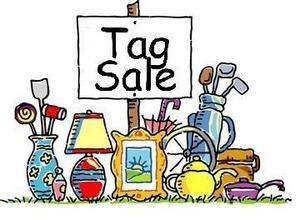 The Women's Club of Danbury/New Fairfield is holding a great yard sale on Friday, May 3rd and Saturday, May 4th. Mark your calendars! It will be held at 5 Field Road, Danbury, CT from 9:00 am to 3:00 pm both days. Please don't plan to arrive before 9:00. This yard sale will support the Women's Club work with Food Rescue, Man in the Van, Rogers Park Student's Vegetable Garden and the Danbury Farmers' Market.